This article is about aircraft nuclear propulsion. For the US Air Force program, see Aircraft Nuclear Propulsion. For the crystallographic feature known as an atomic plane, see crystallography. The only US aircraft to carry a nuclear reactor was the NB-36H. The reactor was never actually connected to the engines. The program was cancelled in 1958. One inadequately solved design problem was the need for heavy shielding to protect the crew and those on the ground from acute radiation syndrome; other potential problems included dealing with crashes. Some unmanned missile designs included nuclear powered supersonic cruise missiles. However, the advent of ICBMs, and nuclear submarines in the 1960s greatly diminished the strategic advantage of such aircraft, and respective projects were cancelled; the inherent danger of the technology has prevented its civilian use. 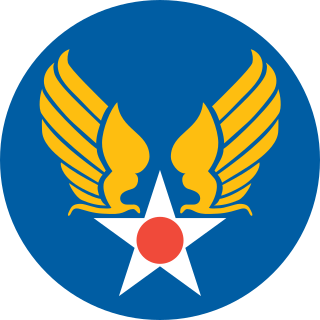 In May 1946, the United States Army Air Forces started the Nuclear Energy for the Propulsion of Aircraft (NEPA) project, which conducted studies until the Aircraft Nuclear Propulsion (ANP) program replaced NEPA in 1951. The ANP program included provisions for studying two different types of nuclear-powered jet engines: General Electric's Direct Air Cycle and Pratt & Whitney's Indirect Air Cycle. ANP planned for Convair to modify two B-36s under the MX-1589 project. 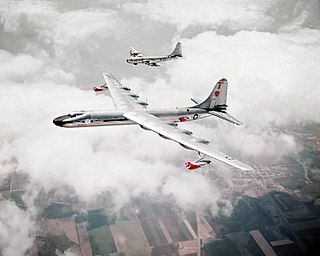 One of the B-36s, the NB-36H, was to be used for studying shielding requirements for an airborne reactor, while the other was to be the X-6; however, the program was cancelled before the X-6 was completed. The first operation of a nuclear aircraft engine occurred on January 31, 1956 using a modified General Electric J47 turbojet engine. The Aircraft Nuclear Propulsion program was terminated by Kennedy after the President's annual budget message to Congress in 1961. The Oak Ridge National Laboratory researched and developed nuclear aircraft engines. Two shielded reactors powered two General Electric J87 turbojet engines to nearly full thrust. Two experimental engines complete with reactor system, HTRE 3 and HTRE 1, are at the EBR-1 facility south of the Idaho National Laboratory 43°30′42.22″N113°0′18″W﻿ / ﻿43.5117278°N 113.00500°W﻿ / 43.5117278; -113.00500 . Experimental HTRE reactors for nuclear aircraft, (HTRE 3 left and HTRE 1 right) on display at Idaho National Laboratory near Arco, Idaho ( 43°30′42.22″N113°0′18″W﻿ / ﻿43.5117278°N 113.00500°W﻿ / 43.5117278; -113.00500 ). The U.S. designed these engines for use in a new, specially-designed nuclear bomber, the WS-125. Although Eisenhower eventually terminated it by cutting NEPA and telling Congress that the program was not urgent, he backed a small program for developing high temperature materials and high performance reactors; that program was terminated early in the Kennedy administration. In 1957, the Air Force and the U.S. Atomic Energy Commission contracted with the Lawrence Radiation Laboratory to study the feasibility of applying heat from nuclear reactors to ramjet engines. This research became known as Project Pluto. This program was to provide engines for an unmanned cruise missile, called SLAM, for Supersonic Low Altitude Missile. The program succeeded in producing two test engines, which were operated on the ground. On May 14, 1961, the world's first nuclear ramjet engine, "Tory-IIA," mounted on a railroad car, roared to life for just a few seconds. On July 1, 1964, seven years and six months after it was born, "Project Pluto" was cancelled. There were several studies and proposals for nuclear powered airships, starting with 1954 study by F.W. Locke Jr for US Navy. In 1957 Edwin J. Kirschner published book The Zeppelin in the Atomic Age,  which promoted the use of atomic airships. In 1959 Goodyear presented a plan for nuclear powered airship for both military and commercial use. Several other proposals and papers were published during the next decades. Concerns were soon expressed in Washington that "the Russians were from three to five years ahead of the US in the field of atomic aircraft engines and that they would move even further ahead unless the US pressed forward with its own program". These concerns caused continued but temporary funding of the US's own program. The Soviet program of nuclear aircraft development resulted in the experimental Tupolev Tu-119, or the Tu-95LAL (Russian : LAL- Летающая Атомная Лаборатория, lit. 'Flying Nuclear Laboratory') which derived from the Tupolev Tu-95 bomber. It had 4 conventional turboprop engines and an onboard nuclear reactor. The Tu-119 completed 34 research flights, most of which were made with the reactor shut down. The main purpose of the flight phase was examining the effectiveness of the radiation shielding, which was one of the main concerns for the engineers. 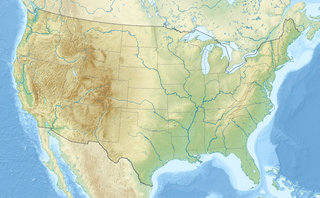 Massive shielding was needed in order to reduce radiation levels, and the obvious potential of the ICBM made the expensive program superfluous, and around the mid-1960s it was cancelled. In February 2018, Russian President Vladimir Putin claimed that Russia had developed a new, nuclear-powered cruise missile with nuclear warhead that can evade air and missile defenses and hit any point on the globe. According to the statements its first flight test occurred in 2017. It was claimed to feature "a small-size super-powerful power plant that can be placed inside the hull of a cruise missile and guarantee a range of flight ten times greater than that of other missiles." The video showed the missile evading defense systems over the Atlantic, flying over Cape Horn and finally north towards Hawaii. To date there is no publicly available evidence to verify these statements. The Pentagon is aware of a Russian test of a nuclear-powered cruise missile but the system is still under development and had crashed in the Arctic in 2017. A RAND Corporation researcher specializing in Russia said "My guess is they're not bluffing, that they've flight-tested this thing. But that's incredible." According to a CSIS fellow, such a nuclear powered missile "has an almost unlimited range -- you could have it flying around for long periods of time before you order it to hit something"  Putin's statements and the video showing a concept of the missile in flight suggest that it is not a supersonic ramjet like Project Pluto but a subsonic vehicle with a nuclear-heated turbojet or turbofan engine. Tupolev is a Soviet, and later a Russian aerospace and defence company, headquartered in Basmanny District, Central Administrative Okrug, Moscow. Known officially as Joint Stock Company Tupolev, it is the successor of the Tupolev OKB or Tupolev Design Bureau headed by the Soviet aerospace engineer A.N. Tupolev. The company celebrated its 90th anniversary on October 22, 2012. The Russian government merged Tupolev with Mikoyan, Ilyushin, Irkut, Sukhoi, and Yakovlev as a new company named the United Aircraft Corporation. The Tupolev Tu-160 is a supersonic, variable-sweep wing heavy strategic bomber designed by the Tupolev Design Bureau in the Soviet Union. 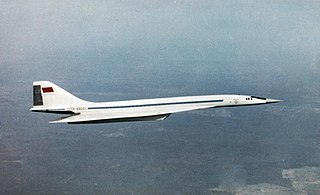 It is the largest and heaviest Mach 2+ supersonic military aircraft ever built and second only to the comparable XB-70 Valkyrie in overall length. It is the largest and heaviest combat aircraft, the fastest bomber now in use and the largest and heaviest variable-sweep wing airplane ever flown. 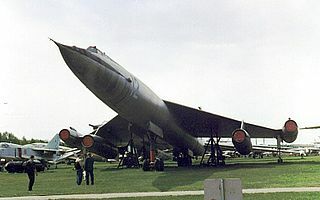 The Tupolev Samolyot 135 was a designation that was used for two different strategic bomber projects in the Soviet Union in the late 1950s and early 1960s, neither of which progressed beyond the drawing board. ↑ Thornton, G. "Introduction to nuclear propulsion- introduc- tion and background lecture 1, feb. 26-28, 1963". Nuclear Materials Propulsion Operation. NASA Technical Report Server. Retrieved 21 September 2011. ↑ Atomic Airships by John J. Geoghegan. Originally published in the January 2013 issue of Aviation History magazine. ↑ Soviets Flight Testing Nuclear Bomber, Aviation Week, 1 December 1958, p. 27. ↑ "Modelarchives". modelarchives.free.fr. 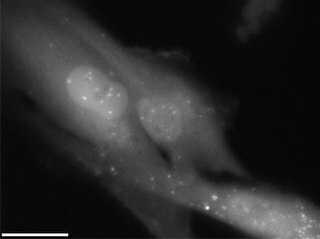 Retrieved 2 March 2018. ↑ Soviet Nuclear Plane Possibility Conceded, Ford Eastman, Aviation Week, 19 January 1959, p. 29. ↑ "Putin Reveals New Russian Nuclear Missile Defense". www.defenseworld.net. Retrieved 2 March 2018. ↑ "Putin declares creation of unstoppable nuclear-powered missile". tass.com. Retrieved 2 March 2018. ↑ "Russia's new hypersonic Sarmat ICBM has begun active testing – Putin (VIDEO)". rt.com. Retrieved 2 March 2018. ↑ Troianovski, Anton (1 March 2018). "Putin claims Russia is developing nuclear arms capable of avoiding missile defenses" . Retrieved 2 March 2018– via www.washingtonpost.com. ↑ "Putin says 'no one in the world has anything like' all-powerful nuclear missile". usatoday.com. Retrieved 2 March 2018. ↑ Bump, Philip (1 March 2018). "What Russia's newly announced nuclear systems actually mean" . Retrieved 2 March 2018– via www.washingtonpost.com. ↑ MacFarquhar, Neil; Sanger, David E. (1 March 2018). "Putin's 'Invincible' Missile Is Aimed at U.S. Vulnerabilities" . Retrieved 2 March 2018– via NYTimes.com. ↑ "Experts Aghast At Russian Claim Of Nuclear-Powered Missile With Unlimited Range". npr.org. Retrieved 2 March 2018. ↑ "Q&A: Arms Expert Says Putin's Weapons Boasts Look Like 'Overkill'". RadioFreeEurope/RadioLiberty. Retrieved 2 March 2018. Colon, Raul. "Soviet Experimentation with Nuclear Powered Bombers". Archived from the original on 3 January 2012. Retrieved 3 January 2012. Buttler, Tony; Gordon, Yefim (2004). "6: Nuclear Power and Flying Wings". Soviet secret projects: Bombers since 1945. Hinckley: Midland Pub. ISBN 1-85780-194-6. Archived from the original on 17 February 2012. Retrieved 8 January 2012. "A Round Table Conference Looks At - The Atomic Airplane" Popular Mechanics, April 1957, pp. 100–105.